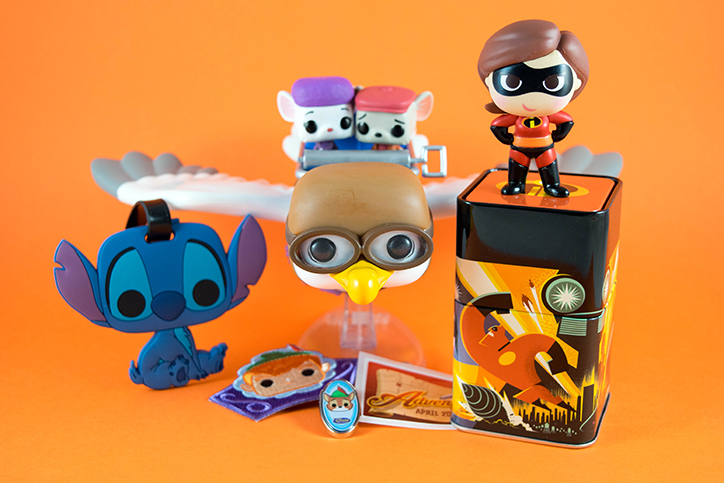 Take Flight with the Disney Treasures: Adventure Box | YAYOMG! The first box of the second year of Funko’s Disney Treasures box has arrived at our doorstep, and we’re so excited to share it with you guys! The theme this time around was Adventure, which, according to the website, celebrates “Heroic and beloved characters from epic Disney adventures.” We loved all the items included in this box and felt it fit the theme perfectly. We’re a little sad to say this is the final Disney Treasures box of the subscription service, but don’t worry – the magic will still continue on. Funko has announced that Disney Treasures will no longer be a subscription service, and will be switching over to retail. Beginning this Summer, Disney Treasures boxes will be available at Hot Topic stores, though there are limited details about how often they’ll be released or how many boxes each store will receive. Hopefully more info will be released soon. Disney Treasures was releasing a box every other month, so if they haven’t switched up the release schedule at all, there is a good chance we’ll see the first box hit Hot Topic in June. 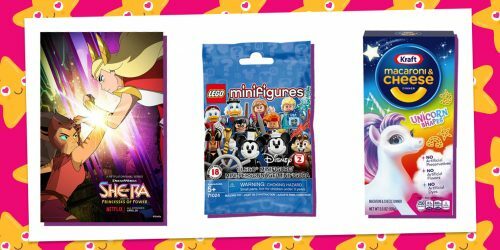 In the meantime, why not take a peek at what we found inside the April 2018 Disney Treasures box? They’ve switched up the box design for the second year of Disney Treasures. 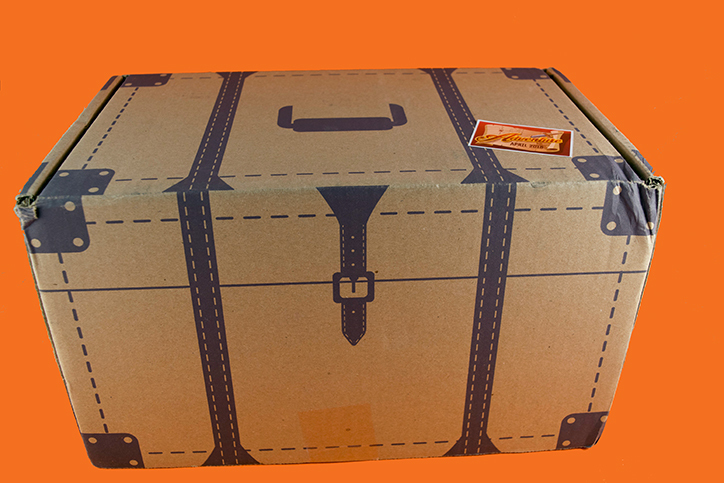 Instead of a treasure chest, all your exclusive goodies now come packed inside a box that looks like luggage! We’re loving the new look, especially since it so perfectly suits the Adventure theme. Included in every box has been a patch, pin, and sticker. 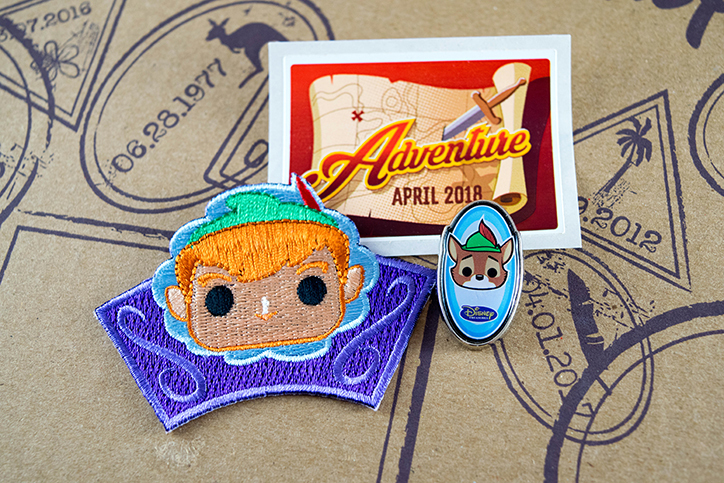 The Adventure box included an adorable Funko-fied Peter Pan patch, Robin Hood pin, and an Adventure sticker so you can be reminded of all the awesome places you’ve traveled as a Disney Treasures subscriber. This is by far the most impressive and adorable item Disney Treasures has ever included! It’s big, it’s super detailed, and it’s so unbelievably cute! This POP! 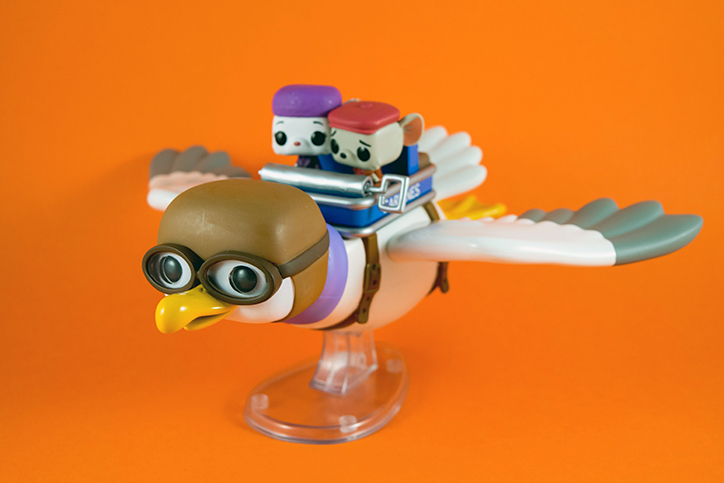 Ride features Orville, Bernard, and Miss Bianca from The Rescuers about to take flight on their big adventure. The best part? Bernard and Miss Bianca are seated inside a sardine can, just like the iconic scene from the movie! They’ve got tiny mouse-sized luggage and matches in the back, and Orville looks like he’s really flying! This is an item you’ll definitely want to take out of the box and display on your shelf. 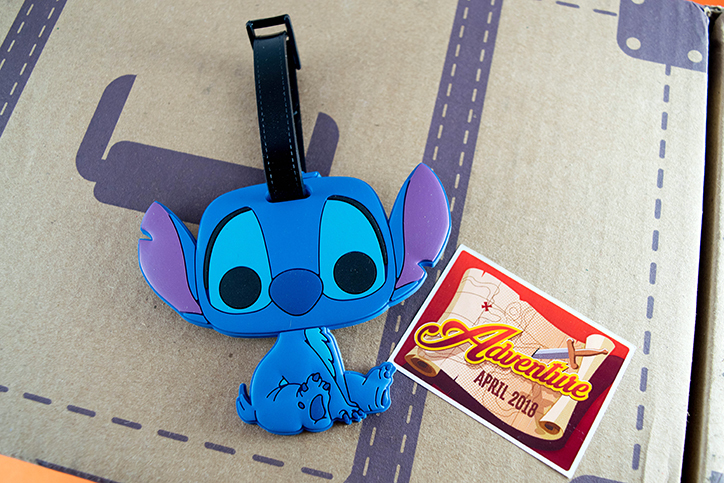 Following the theme in more ways than one, the next item we found inside our box was a Stitch luggage tag! We’ll definitely be clipping him onto our suitcase when we hit up Disney Land this Summer for Pixar Fest! Dole Whip, anyone?! Stitch isn’t just always ready for adventure, he took a huge, risky journey when he escaped and made his way all the way from outer space to Earth. Thankfully, he found Lilo and became BFFs! We were hoping that the announcement of the Disney Treasures Adventure theme meant that we were going to get a Mrs. Incredible item. 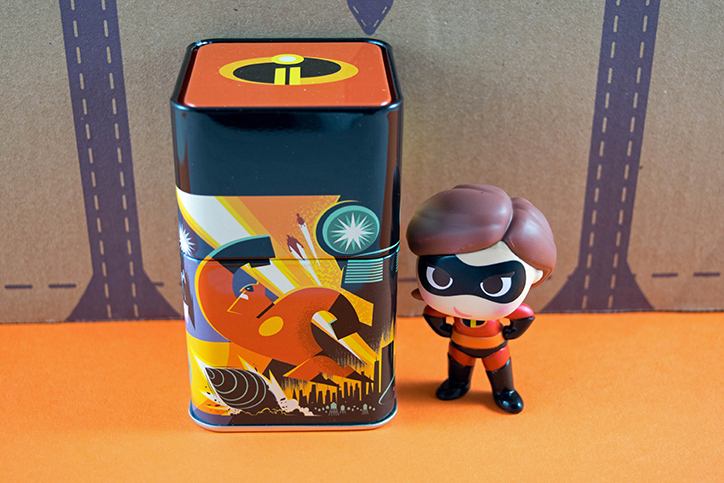 With her being the main focus of Incredibles 2, which is hitting theaters this Summer, it only made sense that she’d be featured in this box and we weren’t disappointed. The tin artwork is gorgeous as usual, and the figure is just too cute. We must admit, we really like it when Funko includes items outside of the normal POP! figures. Receiving a POP! Ride was a huge (literally) surprise, and we often find ourselves drawn to the items like the Stitch luggage tag, the Nightmare Before Christmas tote from the Haunted Forest box, or even the Mickey and Minnie thermos from the Snowflake Mountain box. 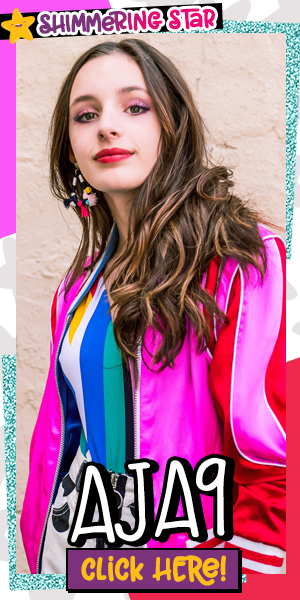 We certainly wouldn’t mind if this trend continued going forward as Disney Treasures hits Hot Topic. 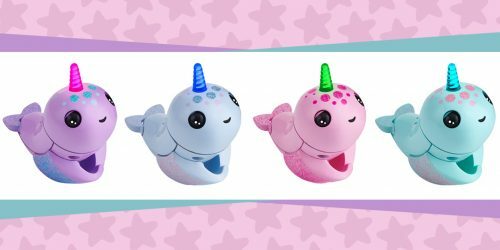 You can’t anymore, however, now is your chance to grab any of the boxes you may have missed out on! Funko has put all past boxes up on their site for purchase while supplies last. You can snag these boxes even if you weren’t originally a subscriber. Want to see what you missed? Check out our previous Disney Treasures unboxings by clicking here!